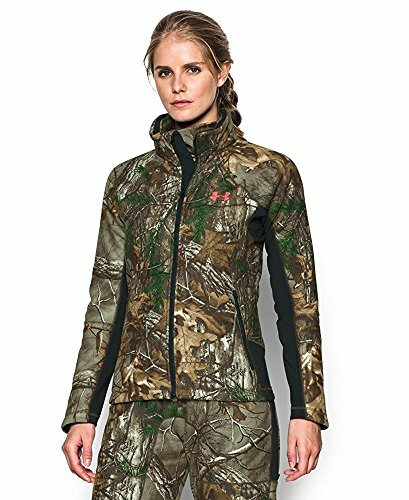 Under Armour Women's UA Stealth Jacket - Medium - Realtree AP Xtra. - UA Storm gear uses a DWR finish to repel water without sacrificing breathability. - Dual-layer EVO ColdGear provides a durable, slick, fast-drying exterior. - Exclusive UA Scent Control technology lasts longer and works better, keeping you undetected. - Super-warm high-pile sherpa backed fleece.